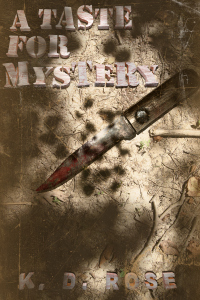 Only 7 More Hours Left to Download This Cozy Mystery Free! As he gathered his jacket up to go, another visitor stopped by. At the door stood Cheryl Wong. “Hola. ¿Habla usted español u otros idiomas?” Cheryl was a petite woman with pale skin and dark hair that hung loosely around her shoulders. Attractive, now that he saw her up close. Jack stared at her, perplexed. Cheryl laughed. She was prettier when she smiled. But then most women were. Jack studied her. What was she up to? He’d have to go through with it to figure her out. “If you’re up to it,” she added. “Your first day, and they’re already piling it on? That hardly seems fair.” She pouted her lips in sympathy. What was that song? Maneater? He had a feeling it was an apt description of Cheryl Wong. Jack made sure to get his parking pass from the secretary for tomorrow. He wasn’t made of money, and today was gonna cost him twenty bucks. Cheryl followed him out, and they took the elevator down together. Jack thought this little get-together might be a good chance to interview her. What was she head of again? He couldn’t remember. He’d have to ask her. His instincts told him to wait until the bar. Jack made sure to put his briefcase in the trunk. Cheryl brought a satchel with her and sat up front. She directed him out. Apparently she lived not too far away from him, although in the city, even a block of traffic could turn a short drive into an hour. Stuck in rush hour, Cheryl made small-talk. “So you dined with the big cheese today?” She opened. Now he got it. She was on a scouting mission for the office. He wondered if they drew straws. “I’m just a nobody,” he said. She said it smiling and casual, but underneath he could feel the shark in her. “I’m not allowed to discuss the details,” he said. “Thanks,” he said, then stayed quiet. She didn’t try to pry anymore. He wondered if she would after a few drinks. Wait. That was his plan. Who was playing who here? The bar she chose was a nice one, and after parking, they were seated in a booth at the back almost immediately. A rowdier crowd held court around the bar, but they sat away from the noise. They each ordered appetizers and a drink. Jack stuck with beer. He didn’t want to get liquored up. Cheryl ordered a fruity drink. Then the sparring commenced. “Oh that’s right.” Now he remembered. Cheryl took the toothpick in her drink and began to eat the fruit on it. Only the way she was doing it… Could she be? Nah… Jack thought to himself as she sucked on a cherry. Well I did wear a suit today. And shaved. Cheryl laughed and twirled the stick with pineapple on it around in her hand. “What is this, the third degree?” she asked, still half-laughing. “No, sorry. I just heard he was my predecessor and wondered what happened. I like this job; I want to make sure I don’t make any mistakes.” Jack figured that sounded good enough. Their eyes met and held each other’s gaze. Jack stared, dumfounded. After that comment, well…I’m game if you are. He arched an eyebrow. “Sure,” he said, “my place or yours?” Jack’s experience with women had usually been that they felt more comfortable in their own homes. Cheryl surprised him again. “Pretty close, yeah.” He thought of his dump of an apartment. He hadn’t cleaned it in forever. There were probably old pizza boxes and bourbon bottles around. Cheryl wrapped her coat around her.